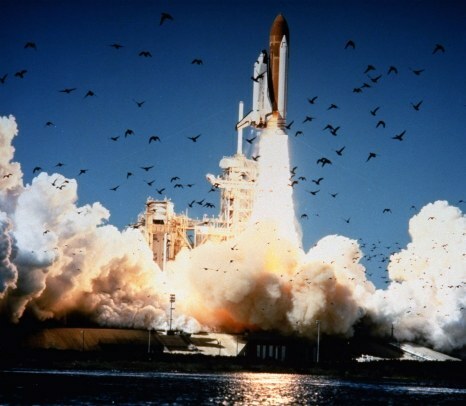 NASA launched the first Space Shuttle mission in 1981 to much fanfare. The Shuttle was a revolutionary concept – a multi-purpose, reusable, orbital spacecraft, instead of a capsule fired through the Earth’s atmosphere. It promised us a new relationship with space. In the years following the first Shuttle mission, NASA worked hard to integrate the Shuttle, and the science behind it, into the popular culture. Movies and television featured the program and astronauts were popular talk show guests. We became accustomed to regular missions and the sight of astronauts in their orange jumpsuits boarding the five Space Shuttles. In 1985, NASA launched nine Shuttle missions (still the most in any calendar year). The complacency with our new frontier would be shattered the following year, with a stark reminder that Shuttle travel was not a glorified airplane ride. Just like past aviation pioneers, the men and women in the Space Shuttle faced real dangers. 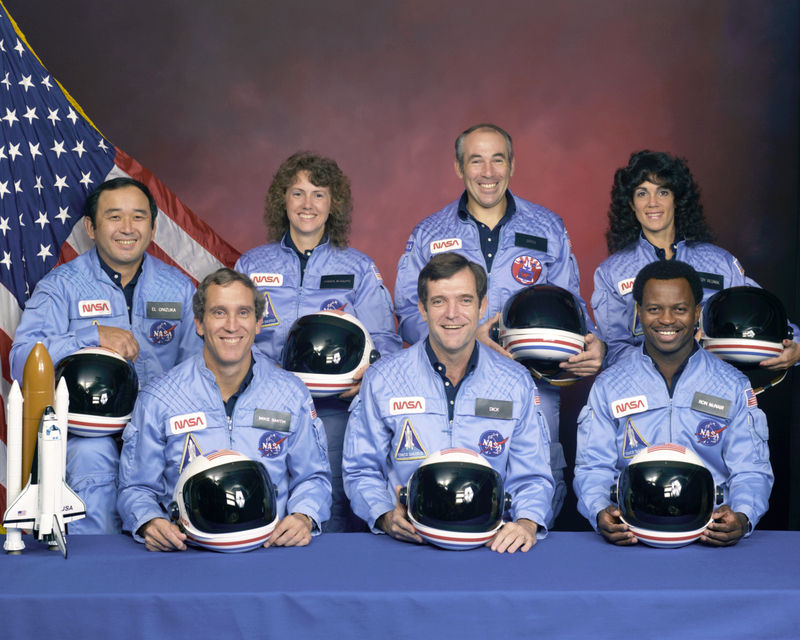 On Tuesday, January 28, 1986, the Space Shuttle Challenger broke apart shortly after liftoff. 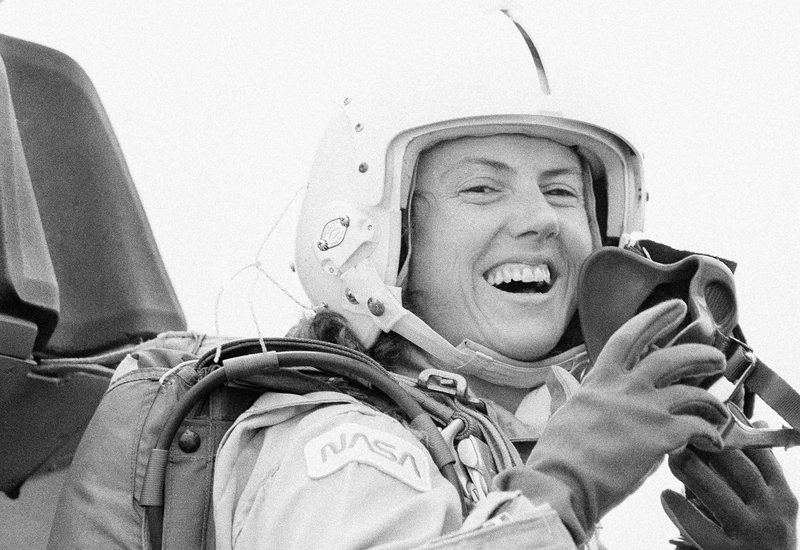 A larger than normal audience watched the launch live on television, as this mission carried Christa McAuliffe, the first participant in the Teacher in Space Project. It is estimated that forty-eight percent of nine to thirteen-year-olds in the USA were watching the launch at school. 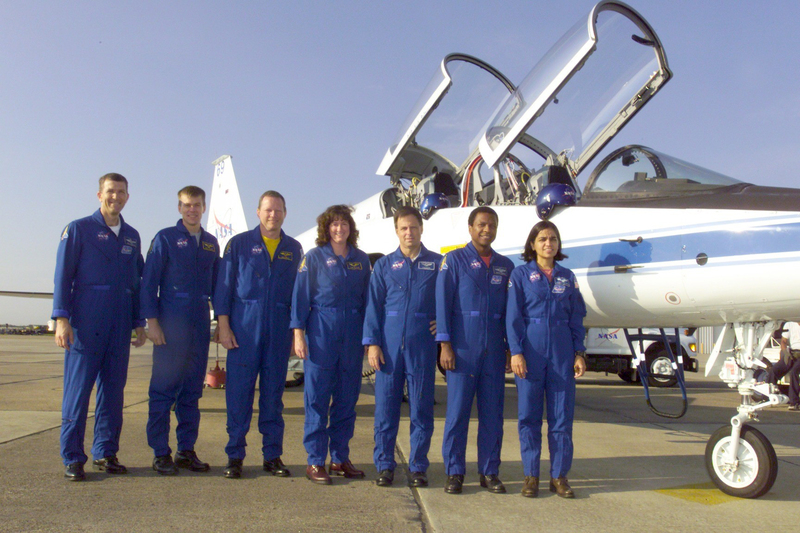 Challenger and the entire crew, including McAuliffe, were lost. Fifteen years later, on February 1, 2003, the Space Shuttle Columbia disintegrated on re-entry after a 16-day mission. All seven crewmembers aboard perished. These two catastrophes stand out against a backdrop of 134 successful missions. I can tell you where I was when both occurred and I am sure I am not alone. I was in elementary school in January 1986. My class was in the hallway, playing Oregon Trail on a bank of Apple IIEs that lived along the wall. The principal burst through the play ground doors and yelled, “The Space Shuttle blew up!” He heard the news on his car radio. My teacher scrambled to get us back into the classroom. We all sat very quietly and I remember thinking this must be a joke. In February 2003, I was home with my young daughter. September 11th was still fresh in our collective memory and losing Columbia seemed like more than we could be expected to handle. I pored over the coverage in print and online and I cried during the NASA press conference. Despite these two tragedies, the Space Shuttle program will be remembered as a program that changed not only America’s relationship with space, but also the world’s. The co-operation with Russia on the International Space Station in the 1990’s served as a tangible example of post-Cold War co-operation. You can thank the Shuttle program next time you watch satellite TV or talk on a mobile phone. Where would GPS be without the “positioning” in Global Positioning System? Satellites in orbit determine your position, some launched and maintained during Shuttle missions. Without the Shuttle, we would not have the Hubble Space Telescope and its amazing eye into deep space. The Hubble continues to provide us with more information about the origins of our universe than we ever expected. Our world would be a decidedly different place without the Space Shuttle program. If weather cooperates, the Space Shuttle Atlantis lifts off for its 33rd trip on Friday, July 8 at 11:26 a.m. EDT. It is the 135th and final Space Shuttle mission. It is sad to think this may be the last time we view the iconic image of Shuttle lift-off. It is also exciting to anticipate what the next generation of space travel will entail, be it the Orion program, or another innovative design. Atlantis’ final flight marks the end on an era, but certainly not the end of our relationship with space. To read more about the Space Shuttle era and the men and women who have contributed to NASA, please visit our NASA Memorial Site and NASA’s Space Shuttle program site.